Old car parts get no respect. 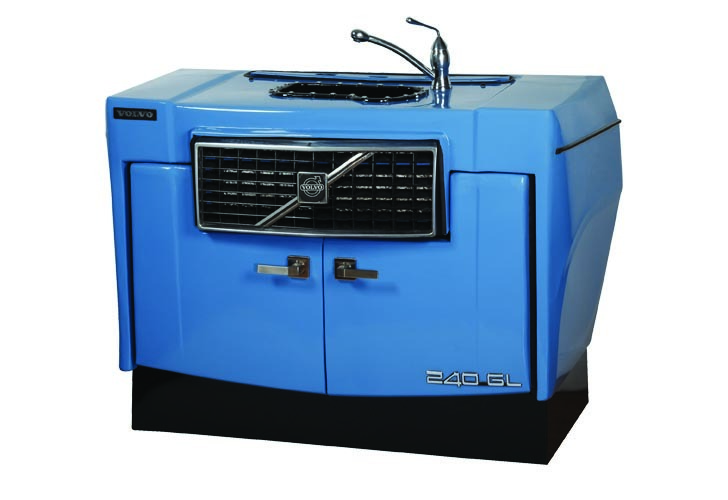 But furniture designer Ronen Wasserman, or Ronen Tinman as he likes to be called, is out to change all that with his incredible furniture fashioned out of reclaimed car parts. Saving them from their unfortunate fate in a landfill, Wasserman gives these throw-away items a new lease on life by making them into functional works of art. You can say Tinman has his feet in two worlds – the past and the future. He’s very interested in preserving the dents, the trademarks, the hood ornaments, the scars, and essentially the stories found in old car parts. But as he is very much aware of our limited pool of raw materials and the importance of reusing, recycling and repurposing existing resources, he is also very interested in creating a sustainable future. And to that end, he combines these two passions – preserving the past and creating a sustainable future – by making high-end, functional art out of old car parts. Tinman finds beauty in the aspects of car parts that most people ignore – the markings, the folds, the warping. Through his pieces, he makes sure that he squeezes every ounce of potential from each car part he encounters. He sources his materials from various junk yards and claims to know what each part wants to be the moment he sees it. The actual process from finding the part to the final product can take up to a few months. Tinman’s background in mechanical engineering gives him a unique understanding of how old car parts work, and is invaluable to being able to repurpose them into new and functional furniture pieces. Besides his obsession with the stories embedded in these car parts, Tinman is also concerned with the embedded energy in them. “So many resources are invested in creating these parts – I’m convinced that they can be reused instead of constantly finding new raw materials to work with,” he says. 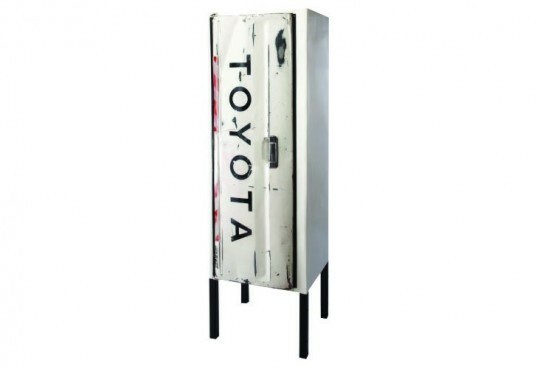 And so he takes dented, rusty car parts that might otherwise waste away in a junkyard or end up in the landfill and gives them a second life by turning them into beautiful boutique-worthy furniture. You can say Tinman has his feet in two worlds – the past and the future. He’s very interested in preserving the dents, the trademarks, the hood ornaments, the scars, and essentially the stories found in old car parts. But as he is very much aware of our limited pool of raw materials and the importance of reusing, recycling and repurposing existing resources, he is also very interested in creating a sustainable future. And to that end, he combines these two passions – preserving the past and creating a sustainable future – by making high-end, functional art out of old car parts. Tinman finds beauty in the aspects of car parts that most people ignore – the markings, the folds, the warping. Through his pieces, he makes sure that he squeezes every ounce of potential from each car part he encounters. He sources his materials from various junk yards and claims to know what each part wants to be the moment he sees it. The actual process from finding the part to the final product can take up to a few months. Besides his obsession with the stories embedded in these car parts, Tinman is also concerned with the embedded energy in them. “So many resources are invested in creating these parts – I’m convinced that they can be reused instead of constantly finding new raw materials to work with,” he says.